83% of employees want to work from home. Advice on how you can! New research published this week shows most staff want to change how they work by working from home. Of the 1,000 people surveyed, only 36.5% already work from home some of the time, even though 90% of them feel they could work from anywhere if they had the proper technology. And 69% stated they have better access to the top tech at home than in their workplace. Talk to your employer about either a home-based role, or flexible working with some time spent at home. If you want a complete change of role, why not work freelance? Here’s a list of some of the 10 highest paid jobs you can do from home. The key to successful home working is creating the right space to work from. Either a study within your home, stand-alone area within a quiet room or, even better, an office in your own back garden. Norwegian Log’s range of garden offices can be conveniently sited metres from your own back door. In most cases planning permission is not required and delivery can be within weeks. Available in a range of sizes and in a choice of contemporary or traditional styling, they provide an ideal, tranquil space for home working. 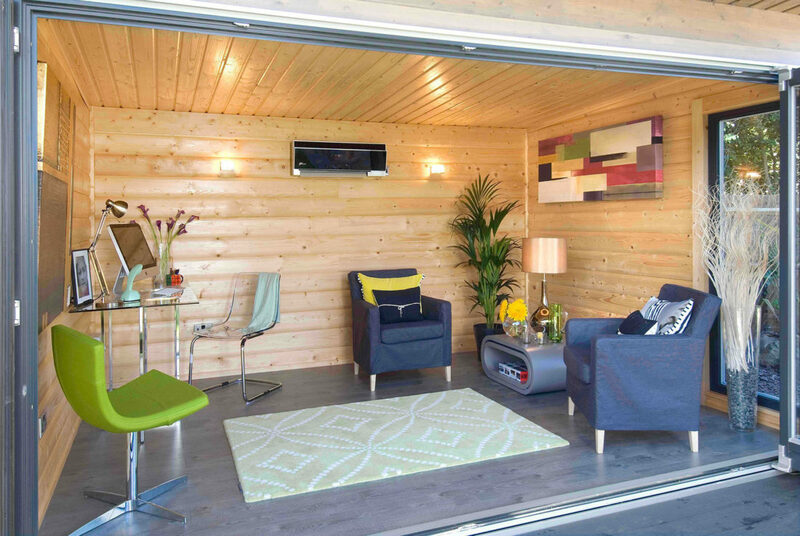 They can also be used outside work hours as a chill out room, like that owned by Norwegian Log customers Fin and Loz. “We come down here, switch on the music system, watch the wildlife in the field and then the sunset,” explained Fin. Create a daily work diary so you keep on top of tasks and keep motivated. Many home workers claim they actually put in more hours than if based in an office. Keep in regular touch with people either by phone, popping out for a lunch break or networking electronically. Water-cooler time doesn’t happen if you work from home, so make an extra effort to meet clients in person, or friends after work. Enjoy! Working from home can save you money, improve your work/life balance and, according to the just published research, will soon become the expectation rather than the perk.